Symptoms of pancreatic cancer can be weight loss, abdominal or back pain, diabetes, or jaundice. Physical symptoms are not very specific to the disease and are often mistaken for something else. Patients can even be asymptomatic. The bottom line is pancreatic cancer is hard to diagnose and even harder to treat. Nikki Mitchell Foundation is working hard to prevent, detect and cure pancreatic cancer. My father, James Drury, was a Vietnam veteran (a captain and platoon leader), a general manager, and a great leader and father. He loved life, outdoors, people and food. He was a heavy-set guy and we were excited at first when he started to lose weight, but when he started having severe pain in his stomach, he finally went to the doctor. The doctor was positive about his weight loss and encouraged him to keep cutting back on food. Around November, a few months after the initial pain and losing 50 pounds, he started hurting a little more when he ate and I talked him into going back to the doctor twice. By the end of the week we had a diagnoses of a tumor in his pancreas. After a slew of hospital visits and tests, we found out he had two pancreatic tumors, with one on a lymph node, liver tumors, and spots in his lungs. The oncologist recommended he start chemotherapy and also participate in an additional clinical trial that might decrease the spread of the tumors from the lymph node. Throughout all of this, Dad was very positive and strong in his faith and believed that with any outcome he was a winner because he either got to stay with us on earth or go to heaven. We scheduled the chemo and he made it through only two treatments. After the second round was over, Dad could barely stand up. He had an adverse reaction to the drugs, wound up in the hospital twice, and then we were told he only had a few weeks to two months to live. We were sent home with hospice care. We were blessed that Daddy came out of hospital feeling better this time and over the next month, as the chemo left his body, he was able to return to some fun activities that he enjoyed like fishing, shooting and visiting with friends he hadn’t seen in years. He actually had a full pain-free week once and felt like maybe he was cured. Then, at the end of May, and after watching my daughter graduate from middle school, he started declining rapidly. A week and half later he was gone. I believe he is a winner in that he is in heaven and he has left a wonderful legacy to his kids, grandkids, friends and family. He maintained a wonderful outlook throughout the whole experience. We experienced some difficulties, like doctors not being clear about survival rates and honestly explaining to us what to expect. I also wish we had known earlier that weight loss is a major indication that something is wrong and that maybe he could have had a chance of beating the disease. A researcher works at the University of California San Francisco’s Center for BRCA Research. As more is learned about what causes cancer, scientists are discovering it can be less important where the disease is located and more crucial to know if it has a certain genetic mutation. At the annual meeting of the American Society of Clinical Oncologists (ASCO) in Chicago this week, the world’s leading cancer doctors focused on one of the most promising new avenues: the genes that cause cancer. Vice-President Joe Biden considers it a cornerstone of his Cancer Moonshot Initiative. By targeting specific genetic mutations, one California doctor is already bringing this future of cancer care to her patients. Oncologist Dr. Pamela Munster is not only a leading BRCA mutation researcher, she’s also a breast cancer survivor. 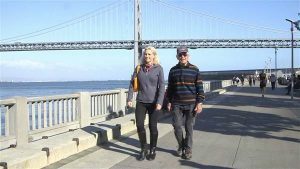 Munster started the University of California San Francisco’s Center for BRCA Research after learning that she carried the BRCA mutation and being diagnosed with the disease. BRCA1 and BRCA2 are well known for increasing the risk of breast and ovarian cancer in women — it’s the mutation made famous by Angelina Jolie. After surgery, Munster realized she would also need a lifetime of pancreatic screenings and screenings for skin cancer because her BRCA mutation — which has now been linked to not just breast and ovarian cancer, but prostate, pancreatic and skin cancers. “I was really stuck with the fact that I had to find four doctors for myself and for screening,” Munster said. Munster was shocked at how overwhelming it was. “If this was difficult for me, I thought this must be very erroneous for someone who doesn’t live and breathe cancer like I do,” she said. The BRCA Clinic, the second of its kind in the United States along with one at the University of Pennsylvania, provides care for people affected by mutations in those two particular genes. Targeting mutated genes marks a shift in cancer research: The San Francisco clinic offers a unique model of care for cancer patients with hereditary cancers due to BRCA — and strives to provide on stop shopping for screenings, prevention education, and treatment for both patients and their families affected by genetic mutations. Dr. Pamela Munster and her father both carry BRCA mutations. It was her unique knowledge of BRCA, combined with her personal experience, that led Munster to have her own father tested when he was diagnosed with advance pancreatic cancer at age 78. Pancreatic cancer is especially deadly, with a 5-year survival rate of only 6 percent. He tested positive for BRCA and when conventional chemotherapy was not working, his doctors were able to target treatment specifically designed for his mutation. Three years later, he has beaten the odds and is still alive. Lauren Bochnowski of San Ramon, California also has a BRCA mutation, but she’s healthy and cancer-free. 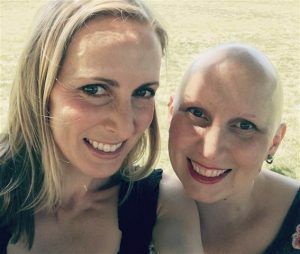 The 36-year-old was tested after her sister was diagnosed with a rare form of breast cancer and is now a patient at Munster’s San Francisco clinic. “It’s really nice to know I can call one person and get all the answers that I need,” she said. 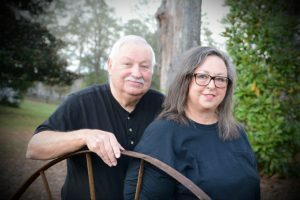 While testing positive for a BRCA-1 mutation was not happy news for Bochnowski, being able to rely on the BRCA clinic, gives her more confidence in her future. http://www.nikkimitchellfoundation.org/wp-content/uploads/2016/07/160607-bcra-research-mn-1710_aa5ca7cce7c619057a3bfe298e4ef2ac.nbcnews-fp-1240-520.jpg 520 1240 Christa Bowles http://www.nikkimitchellfoundation.org/wp-content/uploads/2016/03/logo.png Christa Bowles2016-08-06 14:00:222017-05-30 15:56:04"Doctor Targets Gene Mutations for Cancer Care"